Vacuum Sealer Bags and Vacuum Sealer Rolls are the perfect tool to use for meat storage and the best way to prevent freezer burn. These work on Weston Brand, FoodSaver, Ary, Cuisinart brand sealers as well as all other brands of suction type sealers. Vacuum Sealer Bags and Rolls keep your food protected in the freezer for cold storage as well as dry when when you are out camping or hiking. Switch over from wrapping that high priced venison in freezer paper where the meat ends up freezer burned, use a quality vacuum sealer bag to do the job right. 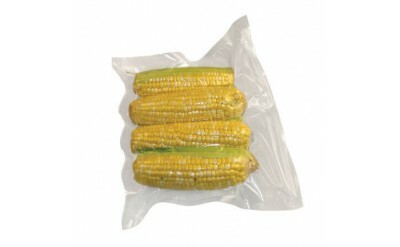 Vacuum Sealer Bags and Rolls come in various sizes. The VacMaster® Zipper bag, with patented full mesh technology, allows you to vacuum package food in a re-closeable zipper bag. Our full mesh design, combined with a zipper, allows you to load food in the open end opposite the zipper, and vacuum package it until you are ready to use. VacMaster®.. Vacuum Sealer Zipper Bags allow you to vacuum seal, open, use, zip back up, and store for maximum freshness, flavor, and safety. Have you ever store a big batch of jerky in a vacuum sealer bag only to open it, take out a few pieces, and have to get out the vacuum sealer again? Now you can store your..